Two kinds of factors shape employee engagement: extrinsic rewards, such as pay, benefits, promotions, awards, and so on; and intrinsic rewards—psychological rewards that fuel engagement by providing a positive emotional charge. 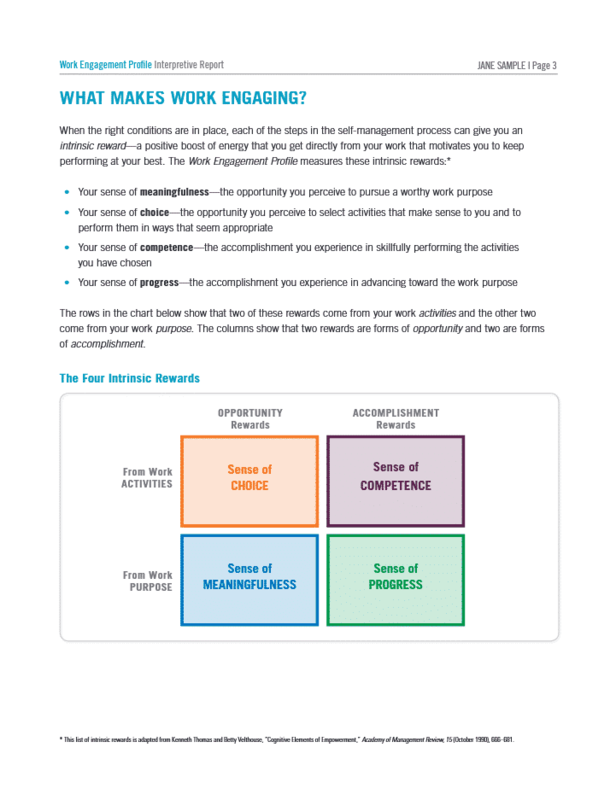 The Work Engagement Profile uniquely focuses on measuring intrinsic rewards and providing insights that can directly affect your organization’s bottom line because it addresses work engagement at the core level—the employee’s feelings about the work itself. 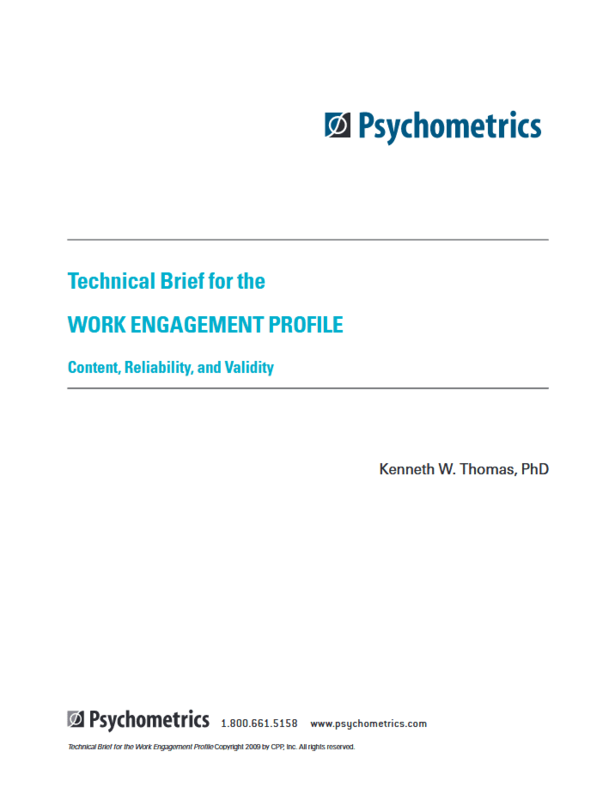 The Work Engagement Profile Interpretive Report measures four intrinsic rewards—meaningfulness, choice, competence, and progress—that individuals receive directly from their work. 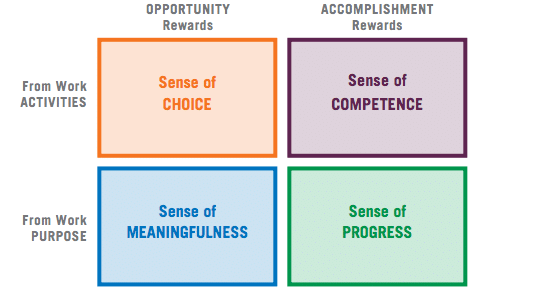 Interpretive information for the scores of each intrinsic reward includes building blocks for improving and strengthening that reward. The Interpretive Report concludes with a detailed Action Plan worksheet for developmental planning.